(CNN) - "Creed II" represents the square root of "Rocky IV," with all the tantalizing side plots that entails. 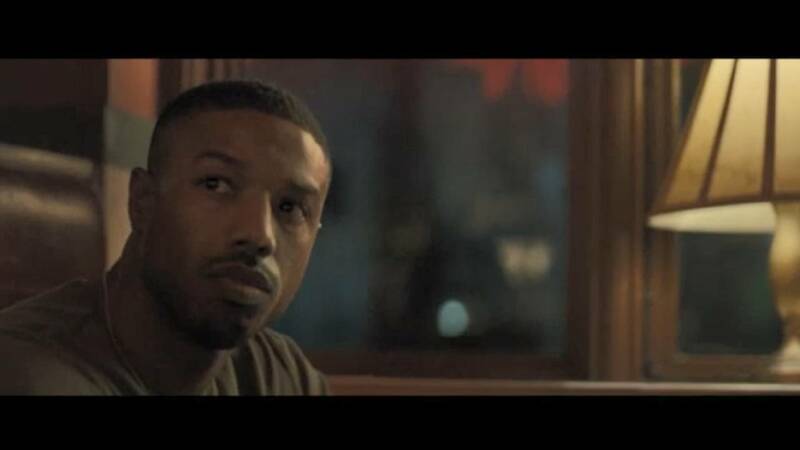 Michael B. Jordan and Sylvester Stallone again provide a potent one-two combo, in a movie filled with nostalgic callbacks that make the most of the franchise's durable formula. Nobody should have any illusions about what "Creed II" is. The first bout, with "Black Panther's" Ryan Coogler as ringmaster, was as much a remake of the Rocky films as a long-deferred sequel to them, from the training sequences to the melodrama to the stirring fanfare borrowed from Bill Conti's score. There's a reason, though, that series piled up so many Roman numerals, even if it became increasingly ridiculous the farther it got away from the original's charming underdog tale. And Stallone (who shares script credit), his fellow writers and new director Steven Caple Jr. have capitalized on that history by layering on pieces culled from the earlier movies, "Rocky IV" foremost among them. In a clever if wholly logical wrinkle, the big loser in that fight, Soviet automaton Ivan Drago (Dolph Lundgren), paid a heavy price for his failure. Yet potential redemption resides in his son Viktor (German boxer Florian "Big Nasty" Munteanu), a hulking bruiser who makes his scientifically honed dad look like a wimp, raised in the kind of barren Ukrainian surroundings that have instilled the eye of the tiger. With Adonis Creed (Jordan) advancing his ring career, a savvy promoter (Russell Hornsby) recognizes the promotable allure of a Creed-Drago marquee fight, given the tragic end Adonis' father met at Ivan's fists. For Rocky, not surprisingly, the idea of being in the corner to witness another such demolition is a prospect that fills him with dread, testing the bond between them. Of course, boxing is only part of the story, and Adonis has plenty of drama going on in his personal life, including his relationship with Bianca (Tessa Thompson). Similarly, Rocky continues to mourn the loss of his beloved wife, while remaining estranged from his son, with Adonis filling that role on a surrogate basis. The fight sequences, as usual, are played at an operatic level, with an abundance of punches blocked by somebody's face. Jordan -- who further elevated his soaring stock between rounds with his role in "Black Panther" -- is again in the kind of physical shape that could easily come with a cape and tights, although Munteanu nearly matches him, ripple for sinewy ripple. At the risk of mixing sports metaphors, the game ball here really goes to Lundgren, who wears those 33 years in the wilderness on his face, while tripping down memory lane by prodding his son to "break" opponents. Everyone, though, dives in with conviction, investing the emotional scenes with more heft than they probably deserve. "Creed II" won't win many points for breaking new ground, but nor does it intend to. And in terms of clearly executing the basic fight plan, the film delivers another technical knockout. "Creed II" premieres Nov. 21 in the U.S. It's rated PG-13.